A majority of organizations today are taking advantage of the efficient cost-effective IT services provided by Software as a Service (SaaS) or Cloud service providers. The services provide an innovative and less expensive platform to manage customer and employee data. While SaaS services have proven to be quite beneficial especially at a business level, incorporating your company into the network in an external data processing platform raises a few security concerns. At Venkon, we provide SaaS security assessment and reviews for different types of Cloud-based applications. We help you to integrate and enhance security in your SDLC. We do this by giving you helpful guidance on how to identify potential security risks, vulnerabilities in your apps, and ensuring that your entire SLDC meets the latest compliance requirements. To help you achieve this goal, we develop a comprehensive assessment methodology to identify and address potential risks. The first step in this process is by corroborating all the data involved in the SaaS environment for a more efficient assessment. We also assess the SaaS vendor security practices by working closely with the SaaS vendor. Most SaaS vendors are quite reluctant to give their security details to customers for fear that the information can be used to compromise their security controls. Most IT departments in organizations running their operations via a SaaS platform lack a complete understanding of the vendor’s security controls and cannot provide a sufficient assessment of the SaaS security level. This is where we come in to ensure that your applications run securely in the SaaS environment at all times. What is a SaaS Security Assessment? Software as a Service (SaaS) security assessment is basically a process of continuously monitoring your cloud resources and assets to assess for non-standard deployments, misconfigurations, and vulnerabilities to prevent malicious penetration and other security risks. Why do I need a SaaS Security Assessment? SaaS services have become quite beneficial for businesses today due to their cost-effective and reliable nature. 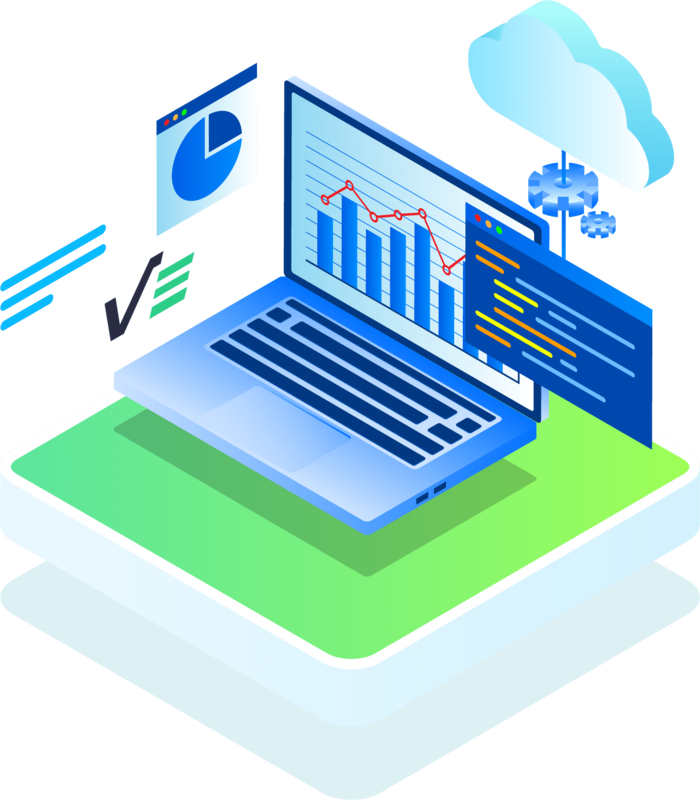 These cloud-based services provide businesses and organizations with an innovative platform to handle employee and customer data at a lesser cost than traditional server services. However, incorporating your business in an external network of cloud-based data processing platforms creates security concerns. Therefore, you need Venkon’s SaaS security assessment and review for every cloud-based application your business uses. You should never make assumptions with your cloud security. It is your responsibility to safeguard your company’s assets in the cloud environment. What type of SaaS security assessment services do you provide? At Venkon, we ensure that your cloud-based activities do not expose your business or organization to high levels of risk. We do this by providing you with thorough, practical, and holistic assessments to help you mitigate risks and execute the most effective remediation policies. We’ll help you to integrate and enhance your SDLC security with helpful guidance on identifying security risks, app vulnerabilities, and ensuring that your business meets the latest security compliance requirements. We’ll even develop a comprehensive assessment methodology you can rely on to identify and address future risks in the SaaS environment. What is your cloud security assessment approach? Our SaaS security assessment is based on principles and guidelines set by the industry bodies and government advisories. The assessment focus on protection of assets stored in the cloud, protection of data in transit, personnel and user access, operational security, identity and authentication, third-party access control, continuous compliance with regulatory requirements, and much more. Do you also assess SaaS vendor security practices? At Venkon, we work closely with SaaS vendors to assess the security practices of their services. Most SaaS vendors will not give their security data to customers. They fear some customers can use the information to compromise their security controls. Therefore, most IT departments in companies with operations on a SaaS platform do not have any information about the SaaS vendor’s security level. This is where Venkon comes in to assess the SaaS environment and ensure that your cloud-based applications run securely at all times. What reports do you provide after the assessment? After we have completed the SaaS security assessment, we’ll provide you with detailed reports and recommendation on how to bolster your security in the SaaS environment. The final report will include a summary of discovered and exploited vulnerabilities as well as our recommendations for remediation. We’ll also provide your technical or IT team with a detailed report on discovered threat identities, vulnerabilities, and exploited vulnerabilities complete with evidence of control in form of screenshots and code snippets. Feel free to contact us today to learn more about our SaaS security assessment services.